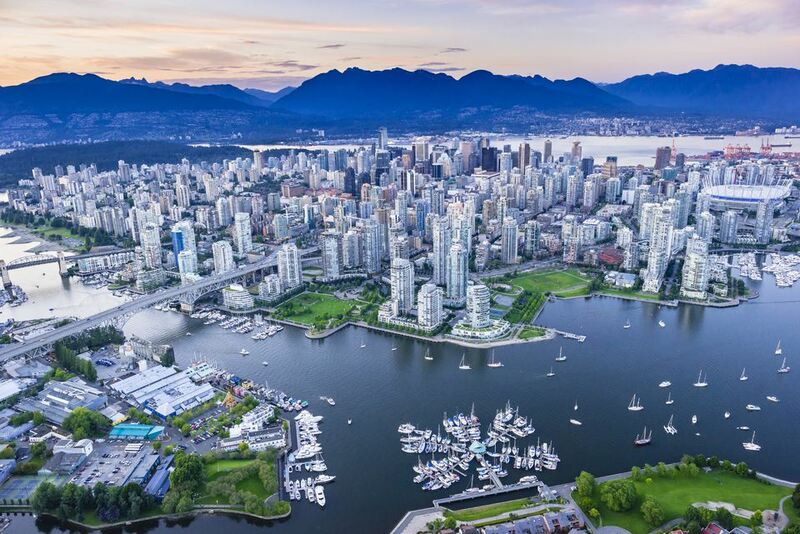 Vancouver, BC, is just 192km (119 miles) north of Seattle, Washington, and just 82km (51 miles) north of Bellingham, Washington. The close proximity of the US border near Vancouver makes it easy and routine for Vancouverites to travel across the Vancouver to Seattle border for day trips, shopping sprees, vacations and more. Buses and trains run between the two main cities and highway connections make it an easy journey for travelers in their own vehicles. Use this quick guide to Vancouver to Washington border crossings to learn all you need to know about traveling between Canada and the U.S. along the B.C./Washington border, including what type of documents to bring, transportation options, and the value of goods that you can bring back into Canada. Where are the Vancouver to Seattle Border Crossings? There are four border crossings that you can use to travel from Vancouver to Seattle. From west to east, they are the Peace Arch (where Highway 99 ends in Canada then becomes I-5 in the U.S.), Pacific Highway (used by buses and trucks and accessible via 99; it also leads you back to I-5 in the U.S.), Lynden/Aldergrove and Sumas/Abbotsford. All crossings have a NEXUS lane for NEXUS card holders for a faster transit across the border. If you're traveling by bus from Vancouver, you will cross at the Pacific Highway crossing. The Peace Arch crossing tends to be more popular with visitors that are driving their own vehicles across as it links with the main highways on either side of the border. How do I Find Out More About Wait Times? Be sure to check the website Border Wait Times before deciding which border to cross. Summer time tends to be busier but more border agents are on duty during peak periods. Wait times are also displayed on electronic information boards along the highway, so you can decide which crossing to use. To travel across the Vancouver to Seattle border crossings, you will need appropriate travel documents to pass through immigration. Canadian citizens must have either a Canadian passport, a NEXUS card, a Free and Secure Trade (FAST) card or an enhanced driver's licence (EDL) or enhanced identification card (EIC). Vancouver residents who are not Canadian citizens must have a passport and any visas or ESTA visa waivers required for travel to the U.S./outside Canada. Check the U.S. Border and Protection site for more details. Learn more about which travel documents you'll need to cross the border: Vancouver to Seattle Travel Documents & Where to Get Them. There are three ways to travel from Vancouver to Seattle by land: train, bus or personal vehicle. The train is called the Amtrak Cascades; its journey is scenic but longer than driving, and it only travels twice a day, so you must book your tickets far in advance. Arrive an hour early to clear immigration before your trip. Buses are a great option for day trips or for trips where you will stay in downtown Seattle. Quick Shuttle buses leave from multiple Vancouver destinations and stop at Bellingham, the Seattle Premium Outlets, and Seattle. BoltBus offers direct buses from Vancouver to Seattle at cheaper fares but has a more limited schedule and leaves only from Vancouver's Pacific Central Station at 1150 Station Street. Of course, the best option is to drive in your own personal vehicle, especially because public transit in Washington, with the exception of downtown Seattle, isn't very good. Having your own car will make traveling and shopping around Seattle much, much easier! How Much Can I Bring Back Duty-Free? In June 2012, the Canadian Border Services Agency increased the value of goods that you can bring back to Canada from the U.S. Excluding alcohol and tobacco, an individual can bring back $200 worth of duty-free goods (increased from $50) in a 24-hour-or-less trip, a 48-hour-or-more trip allows an individual $800 worth of duty-free goods (increased from $400), and a seven-days-or-more trip also allows an individual to bring back $800 worth of duty-free goods (increased from $750). Check the CBSA site for more details on alcohol and tobacco as limits vary for wine, beer and spirits.